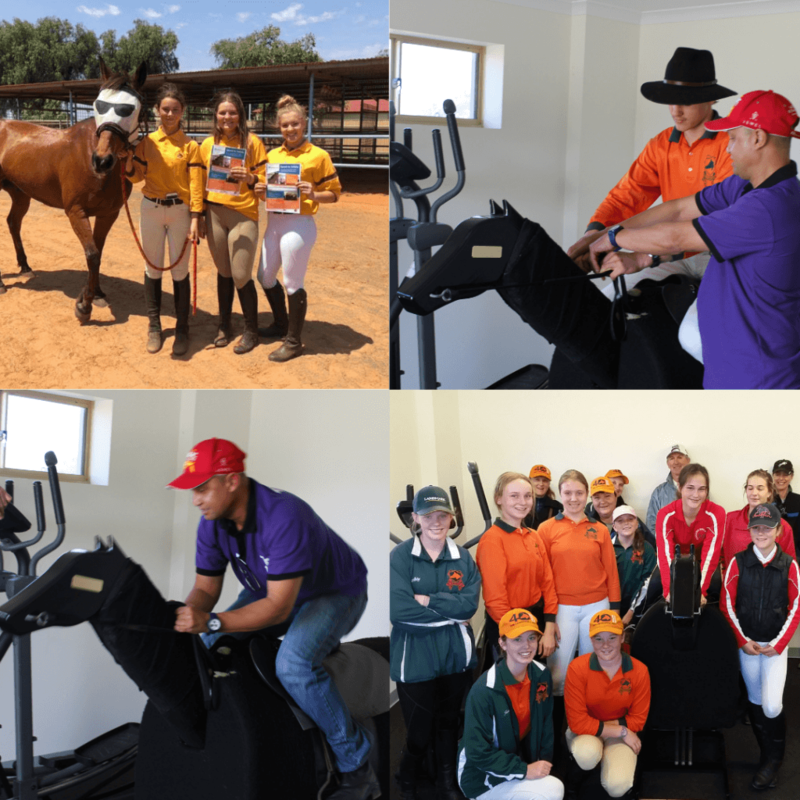 Speed to Safety is a joint initiative between Pony Club WA and Careers in Racing. Based on the riding and timing skills of jockeys/trackwork riders, Pony Club WA members can test their abilities to ride at pace to a set time whilst experiencing the excitement of riding on a race track. Members also get to meet a qualified Jockey Coach and find out what it takes to be an apprentice jockey! The Speed to Safety program is a great way to see and experience a different side of the equine industry in a fun, safe and educational environment. Suitable for all riders 12 years and over who have achieved their C Certificate and are comfortable riding at a moderate to fast canter. Book in to one of the scheduled Have-a-Go days now or enquire about holding a club specific training day and give your riders the chance to be in the running for some great experiences and prizes. Its easy… contact Pony Club WA’s Development Officer – Sally via development@ponyclubwa.asn.au to book into a scheduled training day or to secure your club date which will also require you to organise your riders and we’ll take care of the rest! Have-a-Go days are held across the state including Port Kennedy, Geraldton, Bunbury and Kalgoorlie if numbers permit.